"GGL looked in good form in Bucharest and he played well here in Estoril last year, where, like PCB, he was a beaten semi finalist." We've got three ATP 250 tournaments on the clay in week 17 of the tour, with red dirt action in Munich, Istanbul and Estoril. These sorts of tournaments, as I said last week, are the ones I look forward to the most (and we found a winner too in Fernando Verdasco in Bucharest) and with Bernard Tomic as a number one seed on clay there are opportunities for all in his half of the draw in Istanbul this week. Starting with the TEB BNP Paribas Istanbul Open then and this is just the second year of this tournament at the Koza World of Sports and it was won by Roger Federer in its first staging in 2015. Conditions were described by the players as on the slow side last year here and Federico Delbonis will love his draw again, with the Argentine alongside Tomic, who is dreadful on clay, and not a right lot else. Lucas Pouille, who beat Delbonis in Bucharest, is an obvious contender, but how much will he have left in the tank after Bucharest and of course his arrival in Istanbul will have been severely delayed. At the time of writing the final hasn't even started yet. Albert Ramos and Aljaz Bedene are other possible winners of the half, but I prefer the [12.0] about Marcel Granollers, who's playing some very good tennis right now and his draw in the bottom half looks nice. Ivo Karlovic is the high seed in that quarter, but he's feeling his way back after injury and hasn't looked anywhere near the standard required to win a clay court tournament like this in slow conditions. Jiri Vesely and Grigor Dimitrov will probably fight it out for the other semi-final spot, but I can't be backing the Bulgarian at a price like [4.0] given his lack of career titles (only four and just one on clay). Vesely is too short after beating Novak Djokovic in Monte-Carlo and Granollers is my pick in Istanbul. At the Millennium Open in Estoril I'm happy to take a chance on Pablo Carreno Busta at a tasty [40.0] with round one opponent Verdasco delayed in Bucharest and probably fatigued after that run in Romania. PCB is in the top half with French pair Gilles Simon and Benoit Paire and I'm not convinced by either at the moment. Simon looks toothless on clay these days and hasn't made a final on the dirt since 2012, while Paire's forehand was all over the place and his first serve AWOL in Barcelona and I'd prefer Guillermo Garcia-Lopez as an alternative to PCB. GGL looked in good form in Bucharest and he played well here in Estoril last year, where, like PCB, he was a beaten semi-finalist. I was at Estoril last year and the pressure of being the home favourite was clearly weighing very heavily on the shoulders of Joao Sousa, who also comes here in poor form. He's readily overlooked in the bottom half of the draw and maybe it's time for Leonardo Mayer to find his form and at [29.0] he may be worth a serious look in that section. The Argentine has been poor this season by and large, but he looks big on his best form, with Nick Kyrgios and Borna Coric the other seeded opposition in the bottom half of the draw. The likes of Kyrgios (who should have been defaulted here last year), Coric, Nico Almagro and Sousa are hardly world-beaters and my only concern with Mayer is a shoulder problem he's been suffering with lately. Mayer withdrew from Houston and Barcelona because of it, but if he is fit this week that price looks very generous to me. Munich winner should come from top-half of the draw but who? 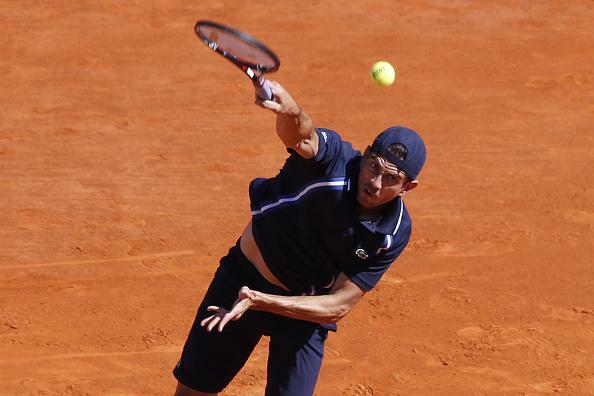 In Munich the other Mayer - Florian - is back in action, with a round two clash with Philipp Kohlschreiber awaiting him if he can beat another German in Matthias Bachinger in round one. Kohlschreiber is almost guaranteed to go well here, with appearances in the final in 2012, 2013 and 2015, and another back in 2007. He's won it twice and was very unlucky to not land a third last season in a final set tie break loss to Andy Murray. My worry with Kohlschreiber this week in that he may well have to go through Gael Monfils in the semi-finals and the German has lost 12 of his 14 career matches against the in-form Frenchman. He almost always finds a way to lose to Monfils and if we back Kohli this week we're hoping that Fabio Fognini can beat Lamonf in the quarter finals, but how fit is the Italian after a shoulder problem seemed to be present in Barcelona? And that's on top his recent lay off with an abdominal injury, so really it looks likely that it'll be Monfils in the final, but of course Lamonf's record in finals is shocking, so the BMW Open winner seems set to be from the top half (unless Juan Martin Del Potro's wrist has miraculously healed). That could be David Goffin, Dominic Thiem, or maybe even Alexander Zverev, who should be motivated at home in Germany, but no one player really stands out to me as great value in Munich and I'm happy to sit that one out.